Home / bluegill / multi-species fishing / ultralight fishing / Fishing with the Dead? I recently published an ultralight fishing video on my YouTube channel. This was a video of what I thought was a typical day of fishing. I edited the footage and watched the finished product. Everything seemed alright. A couple hours after posting the video, I got an email from one of my viewers. He said I should go rewatch the 4:20 mark and listen for a voice. My girlfriend and I watched that portion of the video several times and didn't hear any voice other than my own. I just thought this person must be crazy or trying to pull some kind of prank on me. Last night, I was fishing with my friend Mark and told him about the guy who had emailed me. Intrigued, he pulled out his phone and played the video. Sure enough, there is a creepy voice that is most definitely not mine on there. It is puzzling as to why I couldn't hear it before but there is no doubt it is there. Ghosts or whatever the heck they are absolutely terrify me. Cold chills are going up my back just thinking about it again as I type this. I emailed the person who pointed this out to me to let him know that I had indeed heard it too. He said ghosts can speak through electronic devices and that I should feel privileged to have heard it. You can rest assured I will leave that privilege for other people as I will never be fishing that area again. For you nuts who are into that kind of thing, click here to watch the video. Crank up the volume at the 4:20 mark to hear it. 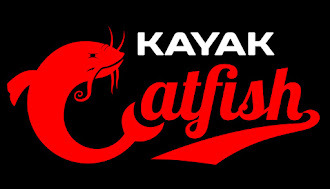 Copyright 2017 - Kayak Catfish - All Rights Reserved. Theme images by MichaelJay. Powered by Blogger.